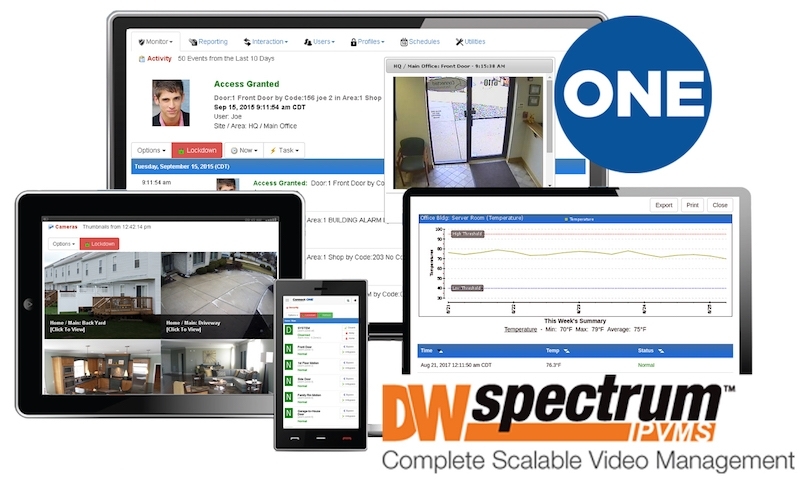 Digital Watchdog (DW) and Connected Technologies LLC recently announced the release of the DW Spectrum integration with Connect ONE. DW Spectrum is an IP video management software, optimized to provide scalability, bandwidth savings and simplified system setup and management. Connect ONE by Connected Technologies is a cloud-hosted integrated security management solution which provides a single user interface to control intrusion, access control, video surveillance, critical environmental monitoring and energy management. DW Spectrum and Connect ONE can be integrated via direct network connection or DW Cloud. The cloud integration between DW Cloud and Connect ONE’s cloud service eliminates the need to connect to an IP address or to open an inbound port on the end user’s network firewall. Once connected, users can retrieve a camera list for configuration, to view live video, record snapshots of an event from the intrusion/access system for video verification or review a 10 second pre-event and up to 45 second post-event video clip.